The University of Zambia, School of Medicine (UNZA-SoM) is the first and only medical school in Zambia. UNZA-SoM’s mission is to provide quality education in health sciences, by accomplishing the University and Ministry of Health tasks of medical training, medical care, and advancement of medical knowledge. The public health department of the School of Medicine has the added aim of increasing bioethics capacity to benefit the region. 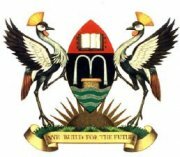 The mission of Makerere University, College of Health Sciences (MakCHS) is to improve the health of the people of Uganda through innovative teaching, research, and provision of services responsive to societal needs. It aims to be a leading and transformational institution for academic excellence and innovation in health sciences in Africa. The University of Botswana is a leading academic center of excellence in Africa and the world.